I had a maternity photo shoot in Tooting in February. This lovely couple were expecting their first child, a little baby boy who is now born and I have also photographed! Can’t wait to show the photos. I love easy going couples like this one, who go with the flow and also enjoy themselves during the shoot. The excitement but also the serenity of being in the particular stage in life of expecting a new little being, did shine through and has made their photos very personal to them. The couple decided to go for one of my Bump to Baby packages which include four sessions during baby’s first year and are a great way of documenting baby’s first milestones. The packages also include a number of digital photos and prints. I have a special promotion going on at the moment on my Bump to baby packages, a 10% off on my signature and premium packages. Take a look here 10% off bump to baby packages. Below are some of the photos from the session. If you liked these photos and you would like to book your own maternity photo shoot here is a little bit more information about the session and the packages. 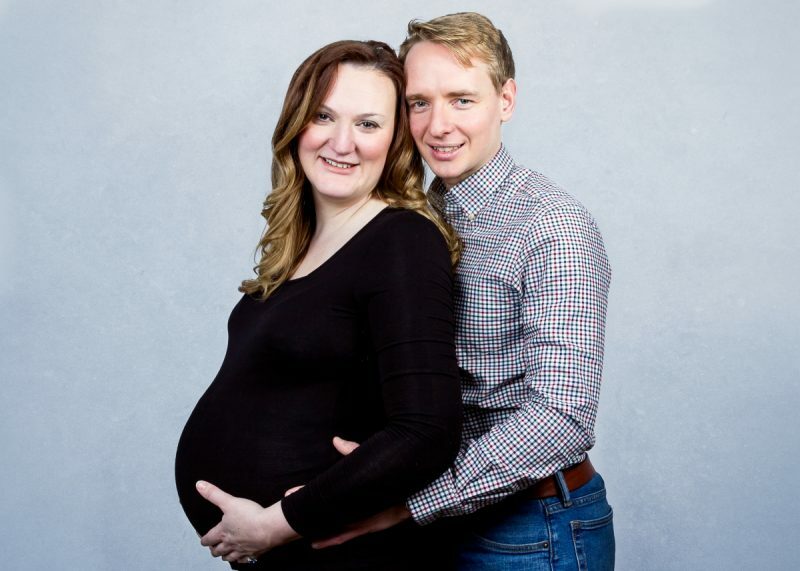 You can book an individual maternity photo shoot which costs £165 and includes a package of 6 digital edited high resolution images and 3 prints, 1 in 8×10 and 2 in 7×5. Alternatively you can book a Bump to Baby package which gives amazing value for each of the individual sessions that are included in the package. I have a number of Bump to Baby packages available and you can read all about them in my Book a bump to baby photo shoot. As a quick summary the Bump to baby packages start from £400 for the Standard Bump to baby photo shoot. This package includes 4 sessions, maternity, newborn, 6 months and 1 year old and 6 digital images and 2 prints from each of the four sessions. The next package gives you more digital images and prints, The Signature Bump to baby photo shoot £600 includes the fours sessions, 10 digitals and 3 prints from each session. The Premium Bump to baby photo shoot £800 includes the four sessions and 15 beautiful photographs and 6 prints from each session. In addition the premium package also includes a final “print box” with the chosen prints and a USB with all the chosen images from all the sessions inside. This is a beautiful keepsake box that will store your cherished memories for years to come. The maternity session can take place at my home studio, in your place, or outdoors on location. The baby sessions can take place in my home studio or at your home. We will discuss together during the pre-consultation call which location best meets your requirements. For all bookings I do ask for the payment of a £25 deposit which is to secure the booking and the confirm the appointment. This can be done by bank transfer or PayPal.